This is our Small sized Nukeproof Mega 650B cross country / Enduro bike. This bike is perfect for all cross country riding in Tignes and Val d Isere. Not intended for use in the bike park, its designed to go up hill! If you wish to use the bike park we highly recommend taking a downhill bike. Conceived originally in 2009 by the development team at Nukeproof in an attempt to build the perfect bike for this exact style of racing, the Mega was born. Now in its 4th evolution, the Mega is podium proven. It has tasted success with numerous national and international race wins to its name. Designed to excel on the toughest enduro tracks; the gravity focused specification is designed to descend fast but maintain the pedalling efficiency for all-day epics. With the demands of Enduro World Series racers progressing at a rapid rate, Nukeproof looked again at its geometry and saw an opportunity to tailor the frames to suit not only the fastest racers, but the growing tribe of riders that utilise its bikes every weekend whether that be shuttling runs at their favourite bike park, or heading off for an all-day epic in the local hills. Slightly taller head tube lengths help tailor the cockpit feel to increase rider confidence, and a lengthened top tube on large and extra-large frames should help even the tallest of riders feel at home on the new Mega 275 Comp. The product development team work extremely closely with Nukeproof’s suspension partners and spent endless hours working on the perfect shock configuration for the new Mega. 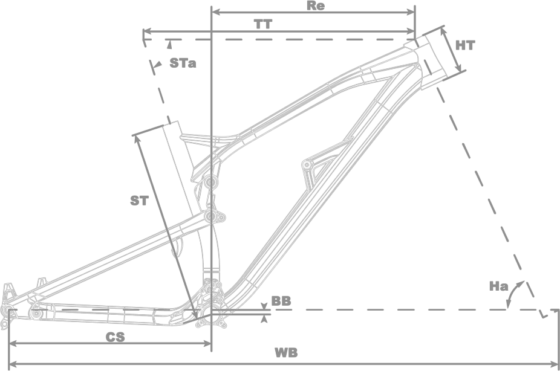 The perfect partnership between rear shock technology and frame kinematics has always been in the very root of its thought process when developing bikes and the new Mega with its brand new ’metric’ shock standard is no different. 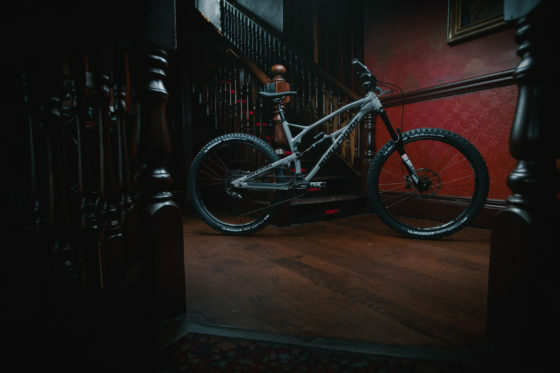 Designed to work perfectly with both air and coil sprung rear shocks, Nukeproof has addressed some of the areas that it felt could be improved on over the previous design such as hardware improvements and higher spec shocks across the board. The new Mega 275 Comp utilises the brand new RockShox Super Deluxe rear shock and hardware now comprises of a wider spaced 25mmx8mm front mount, with a rocker link mounted bearing system to improve shock sensitivity and reduce the amount of wear through heavy usage. This combination adds even more stiffness to the chassis through these more secure fixtures and the ‘Metric’ rear shock system with increased bushing overlap.